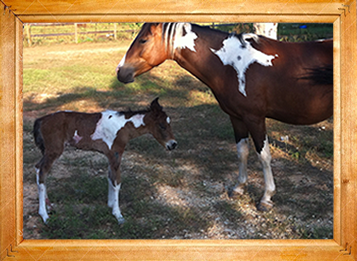 Our purpose is to promote the prevention of equine abuse and mistreatment. We believe in humane treatment of and survival as an alternative to slaughter or public auction for abandoned, neglected and unwanted horses. It is our purpose to provide shelter, food, daily care, medical attention, rehabilitation and adoptions for horses in need of refuge. We provide emergency disaster mobile response to animals in crisis under natural disasters. As part of our Mission to respond, our goal is to provide proper training and handling of both Rescue animals and persons in search and rescue and recovery. Emergency deployment requires both dedication and commitment. We give priority to mustangs from all over the country because of the long heritage and legacy they have come from and will pass on while horses are our concern. We will act on any situation where equines are endangered or at risk and give shelter where none has existed. This organization is not BLM operated or BLM sponsored. Private wild horse and burro enthusiasts run it with private donations.